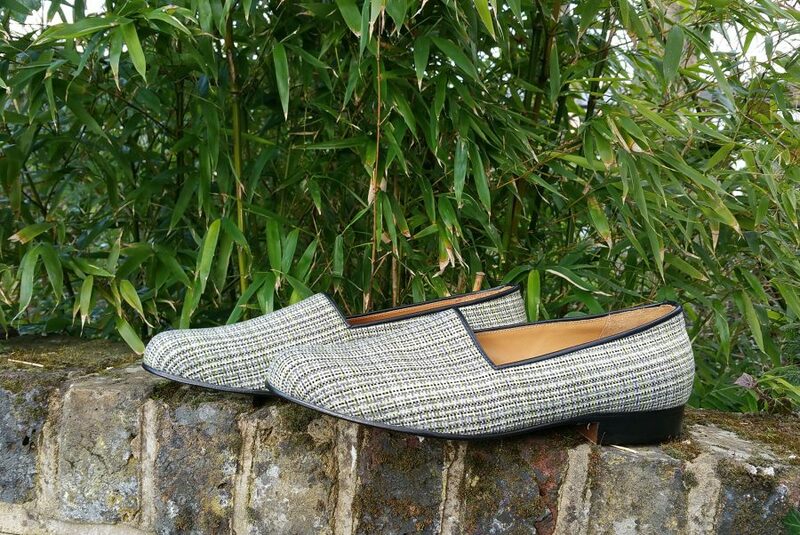 This summer, British footwear brand Carréducker is launching into ready to wear with Winkers Resort Shoes: Great British Seaside. This leap into manufacturing came to life following a successful Kickstarter campaign*. 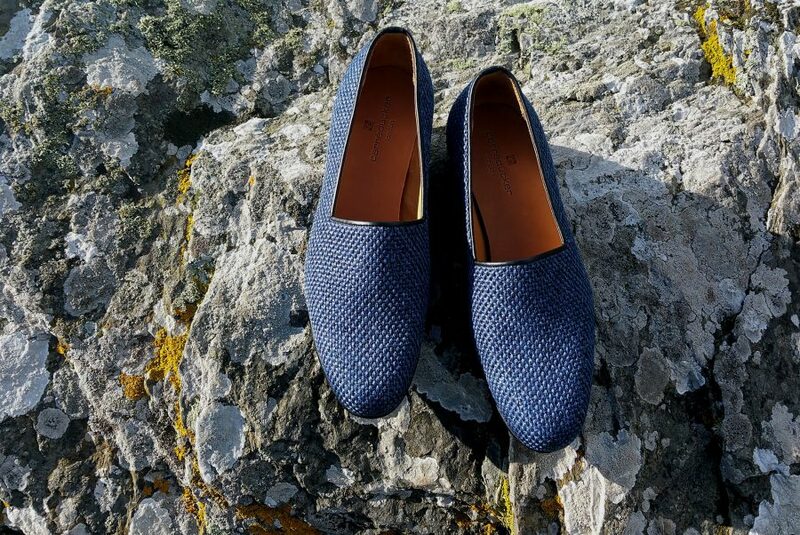 The resort shoe is made by a small artisanal manufacturer in the North of England, with Carréducker’s design principles. It comes in a choice of nine, Designers Guild upholstery fabrics featuring leather-lining, padded sock and a leather sole and heel. The sleek design, based on the classic espadrille, is the perfect summer shoe to take you straight from the beach to the bar. 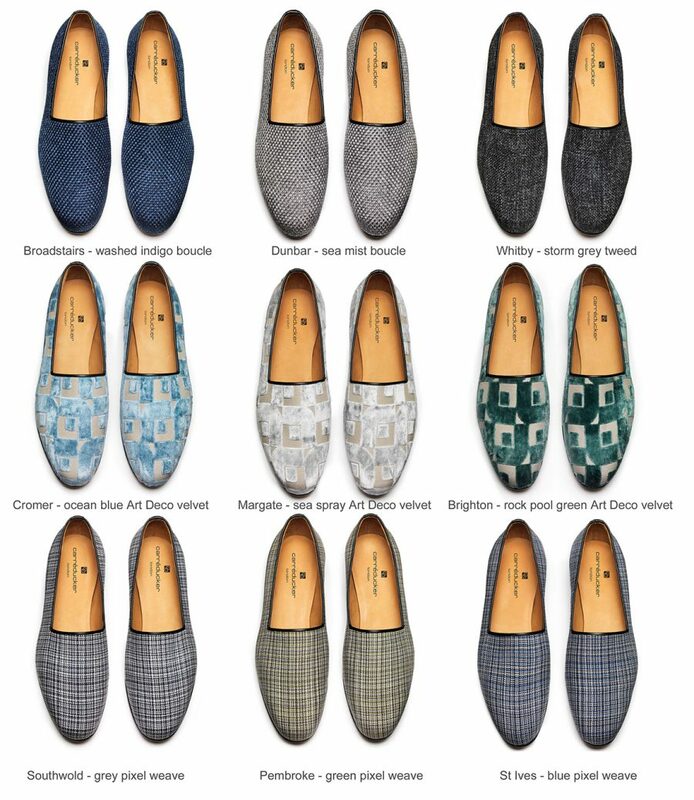 Each of the nine colour ways is inspired by and named after a traditional English seaside resort offering a palette of greys, greens and blues; bouclés in Sea Mist Dunbar, Indigo Broadstairs, and Storm Grey Whitby; pixelated weaves in Pembroke Green, St. Ives Blue and Southwold Grey; and Art Deco velvet in Sea Spray Margate, Ocean Blue Cromer and Rock Pool Green Brighton.